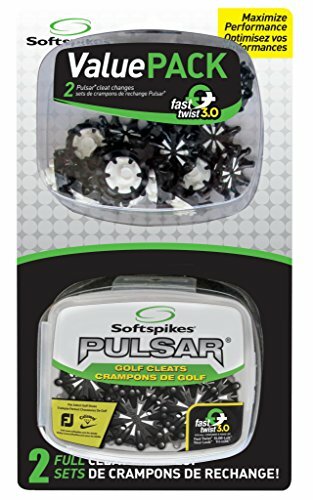 The Softspikes Pulsar revolutionized the golf cleat market thanks to its proprietary Dynamic Cleat Technology. Through this technology, Pulsar delivers maximum comfort and performance via a 16-component design that reacts to every angle of force exerted by the golfer. Flexor knuckles placed at the flex point on each of Pulsar’s eight legs offer enhanced strength, responsiveness and more than twice the flexibility of any cleat on the market. In addition, the reinforced arched webbing between each of Pulsar’s legs deliver instant energy return every time the cleat is compressed, resulting in a cleat that offers unmatched stability and comfort.